Photocopiers are machines used in businesses and homes that make copies of documents. 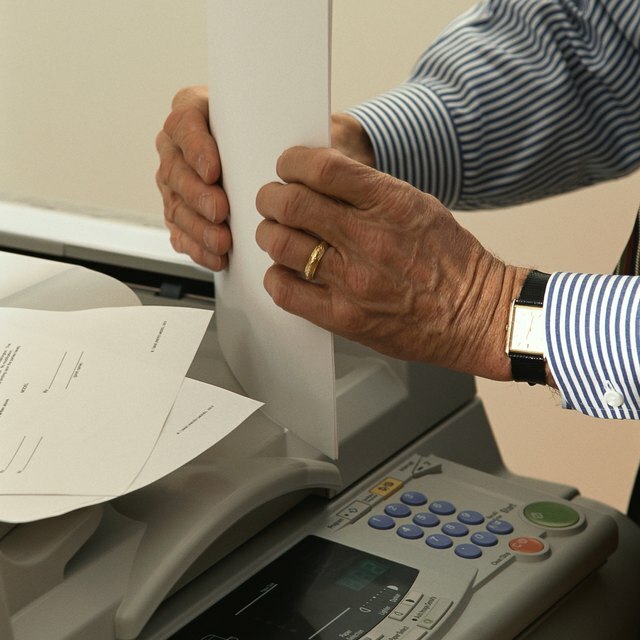 Businesses use photocopiers for large-scale copying of their documents, whereas machines used in a home environment are designed for small-scale coping needs. If you have something that you want to make a copy of, it is fast and convenient to use a photocopier. Photocopying offers a fast and easy way to make copies of various types of paperwork. There is not much for the operator of the machine to do except feed in the document to be copied, turn on the machine and push a button. The machine will rapidly produce any number of copies specified. For added convenience, the user can specify the size of the copies, making them bigger or smaller than the original. Photocopiers provide clean copies of the material you want to copy. The ink from the copier does not rub off on the person using the copier. Other methods of copying that were in use before photocopiers gained popularity could be messy. For instance, the use of carbon paper could transfer ink from the paper to the person using the paper. A photocopier can copy both sides of a document if it is set up to do so. If you have a document that has input on both sides, you can choose the option for the photocopier to print a two-sided copy. This feature speeds up the printing process and is an economical choice as it reduces the amount of paper needed per copy. Newer photocopiers use digital technology, whereas the older photocopiers ran on analog technology. Digital photocopiers combine a scanner and laser printer. This makes for better quality of the photocopied image. Also, the photocopier can scan documents and store them in its queue while printing other pages. Some photocopiers are available with high-speed scanning capabilities that you can integrate with email. These sorts of scanners can also make documents available on a local area network.